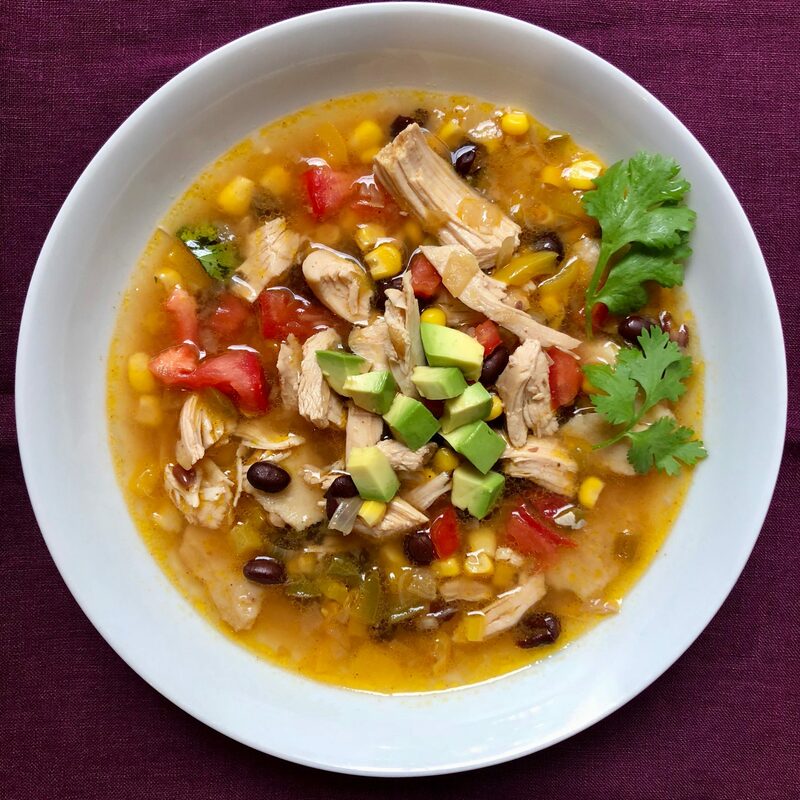 I love a warm, comforting soup, and this one from Eating in Color has extra kick from the jalapeno. Because the seeds are removed from the pepper, it’s not too spicy, but you can use just half if your family likes it milder. The soup is the perfect way to use up extra chicken. Also, I personally turn to rotisserie chicken for this dish. That way dinner is on the table in less than 30 minutes! Heat 1 tablespoon of the oil in a stockpot over medium-high heat, then add the onion and cook for 1 minute. Add 1/4 teaspoon of the chili powder and cook another 3-4 minutes, until the onion is translucent. Add the garlic, jalapeno, and bell or poblano pepper and cook for 3 minutes more. Add the salt, black pepper, broth corn, beans and lime juice. Riase the heat to high, cook for 5 minutes, then tear one of the tortillas into small pieces and add it to the soup, along with the chicken. Reduce heat and simmer for 10 minutes. Meanwhile, preheat the oven or toaster oven to 350°F. Place the remaining 4 tortillas on a rimmed baking sheet and brush them with the remaining 2 teaspoons olive oil. Sprinkle each with a bit of the cumin and the remaining chili powder. Cut each tortilla into quarters (a pizza wheel is great for this) and bake for 13 minutes, until crispy and lightly golden. Add the tomato and cilantro to the soup and raise the heat to medium; cook for 3 minutes. Serve hot, with the tortilla chips and avocado on the side.